The Buckwheat that I bought was about $50 for a 25lb bag. Unfortunately it came all the way from China, so much for going local. 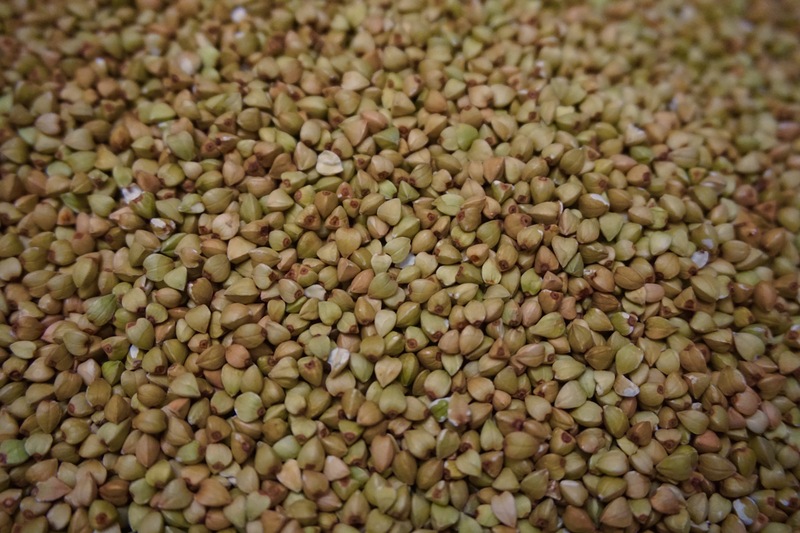 There are a lot of reasons for the decline of the buckwheat market here in Canada which are explained in this article in Grainews from 2015. Basically China has lower production costs, is closer to larger markets like Japan and there are more lucrative crops for Canadian farmers like canola and soybeans. 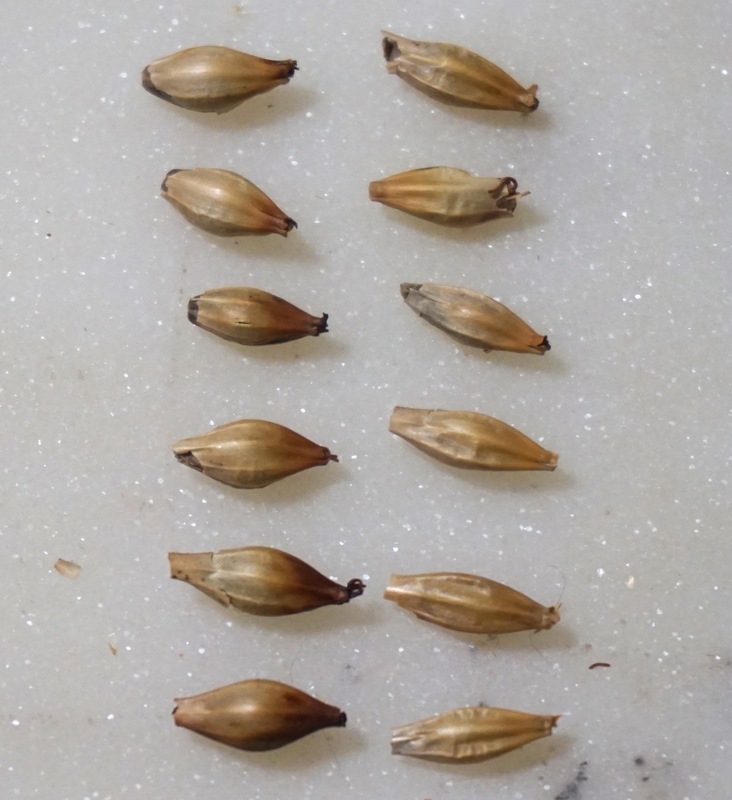 The procedure that I’m loosely following is from a few articles which you can find in Information on Malting section of my blog. In one of these articles they compare the results of 3 different steep times and makes the claim that an ideal procedure which would yield the best balance between the high enzyme potential and low malting loss would be starting with a moisture content of around 40% steeped at 10C for 13 hours and germinated at 15C for 4 days or 96 hours with the average length of the root would being 17 mm. According to another article by Wijngaard enzyme production does not increase after 4 days. But is it ever this easy? Heck no! 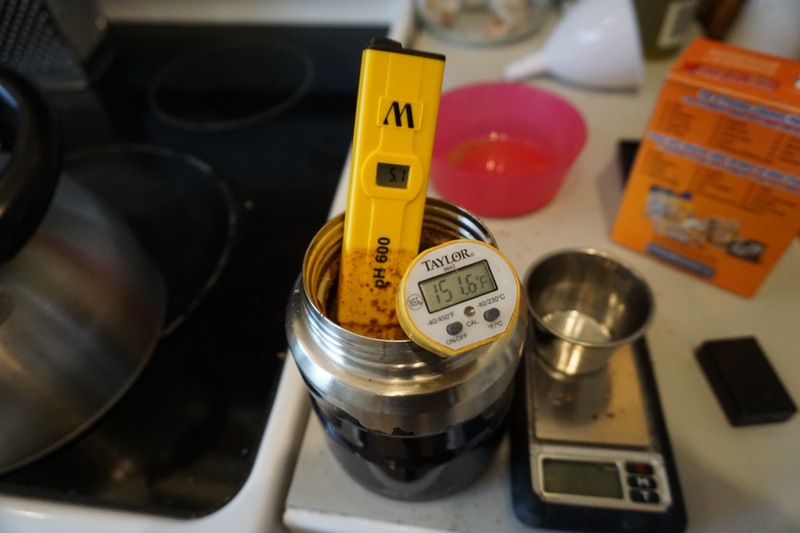 The temperature of my garage at steeping was 13C, I also used cold filtered water. 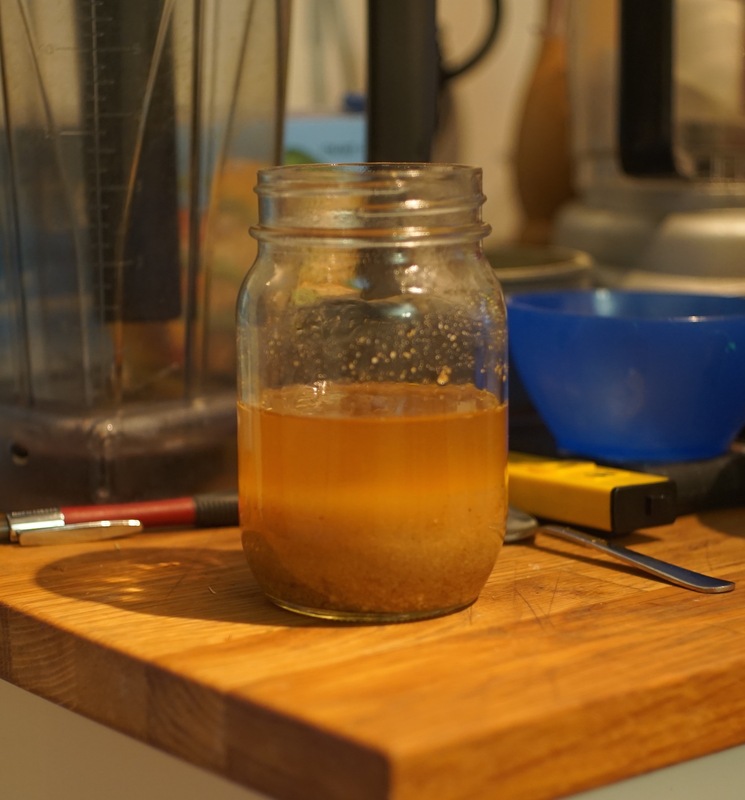 I was surprised to see how fast the grain absorbed water, within a couple of hours the volume almost doubled. At the 6 hour mark I decided to weigh one of the 3 trays. I had started wih 5 lbs of grain in each one. 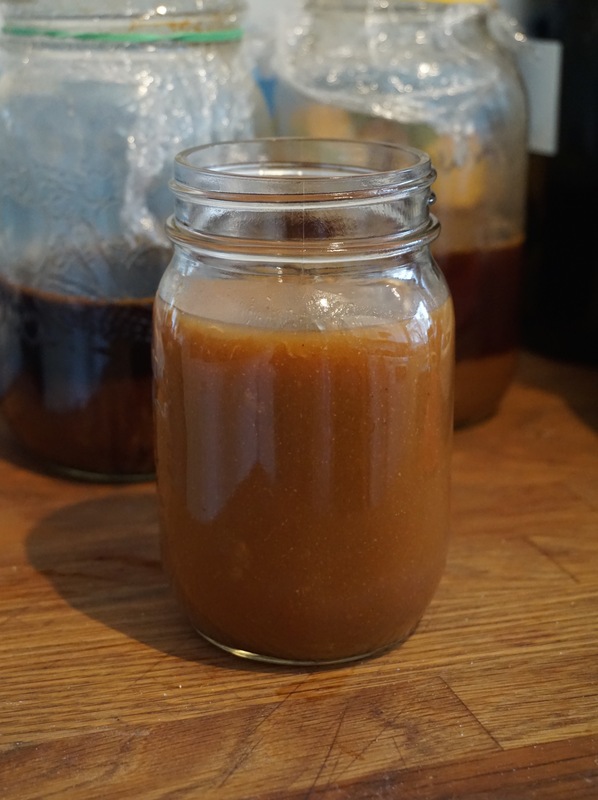 I poured out the steep water which was now a mucus like slime – wasn’t expecting that! Not really sure what the slime is, starch perhaps? Apparently, it’s normal. I rinsed the grain a number of times with cold water to wash off the slime but it still seemed to hold a lot of surface moisture. My weight was way above my target so, to get a more accurate weight I decided to dry the surface moisture by putting it in my kiln with the fan on at 20C. I did this for 3 hours, until it felt damp but not wet. The new weight was much lower and at 7 lbs and 2 oz I was 2oz under my target weight. So this batch had a 39% moisture content. I had also drained off the other two trays and rinsed them as well but I decided to let them dry naturally and absorb some of the surface moisture. In doing this I ended up with one tray being 44% and the other 46%. 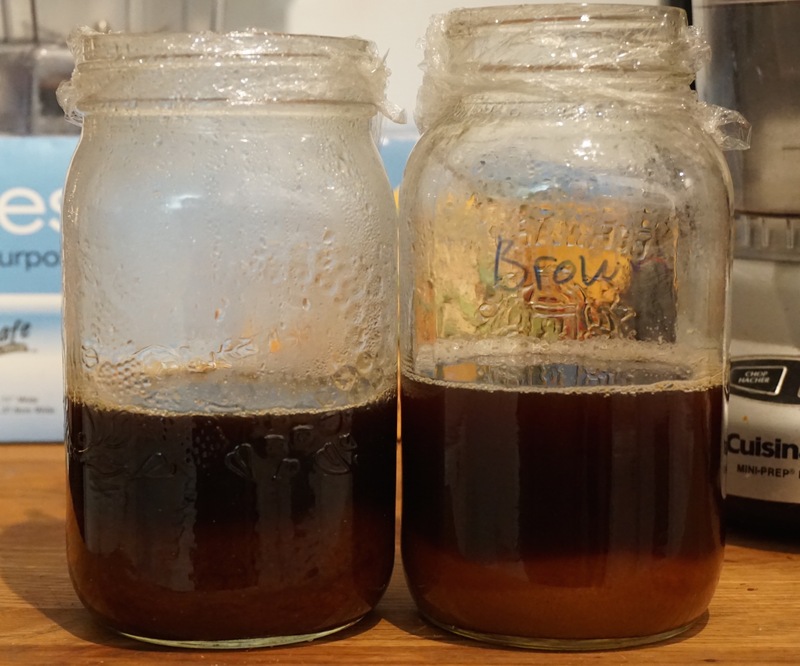 The 46% batch was not drained as well and absorbed the extra water. At least this way I’d get to see for myself how the moisture contents affect growth, and they really do. Even on day two there was a huge difference with the higher moisture buckwheat growing much faster than the 39% batch. Because buckwheat grows so fast it puts out A LOT of heat. I noticed after 24 hours the higher moisture trays were getting warm up to 22C with the ambient temperature being 15C so I split each of these trays into two trays for each. 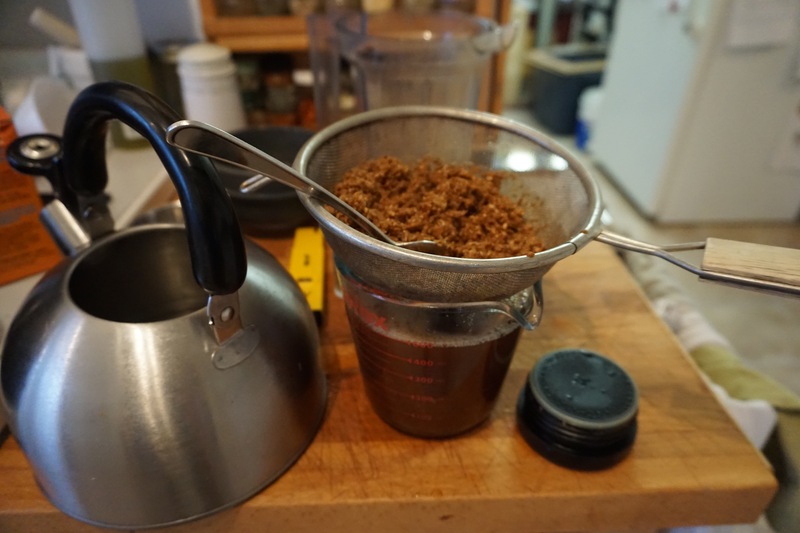 This worked a little but I would definitely recommend using a tray or container large enough so that you can spread the grain down to only an inch or less in depth. After 48 hours the low moisture tray really took off and the temperature reached 25C! yikes. So I split that one too. At the end of day 3 growth seemed to stop and the roots withered slightly during the 4th day. Here are the stats at 96 hours. It looks like the buckwheat with a 6 hour steep, but properly drained would be ideal. At 96 hours the buckwheat was still warm at around 17 C so I gave it for another 6 hours before kilning it. I kilned it very low, below 40C with the fan on for 18 hours. It was very dry at this point (although I neglected to weigh it). I then turned the fan off and the temperature rose up to 60C for a couple of hours and then I increased the temperature to 170 for 4 hours. 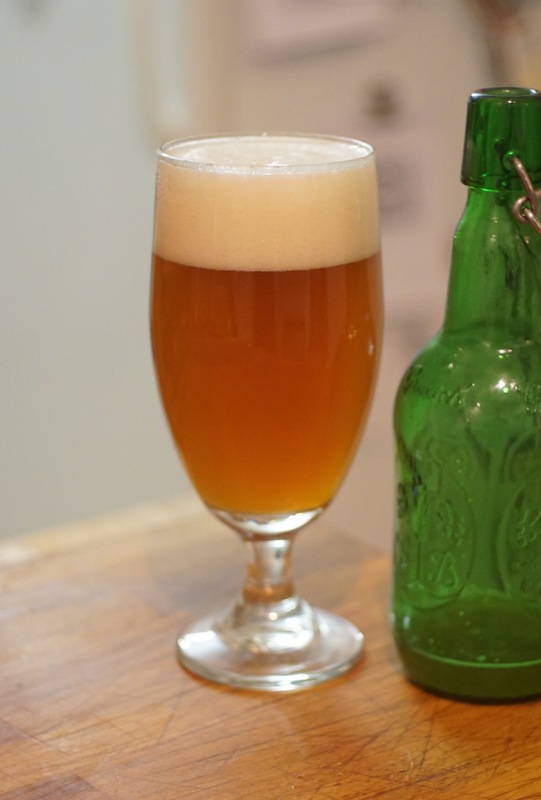 I also made some specialty malts for this beer. 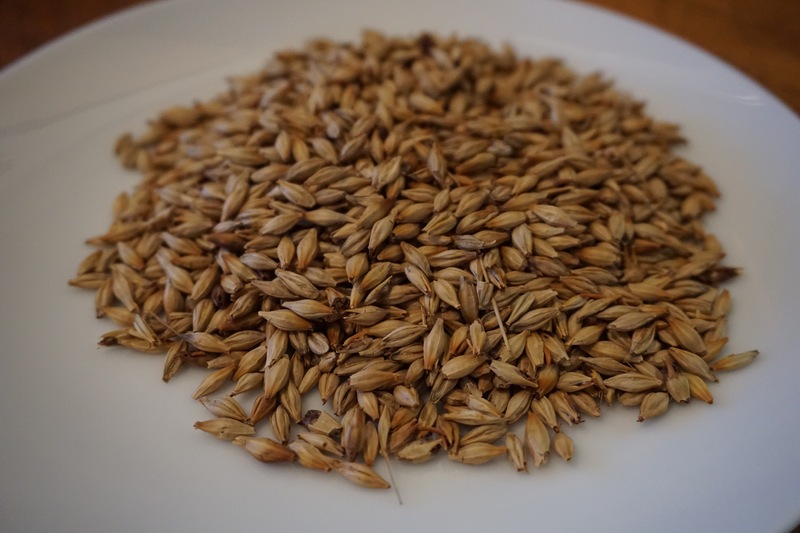 The first of which was a caramel buckwheat malt. 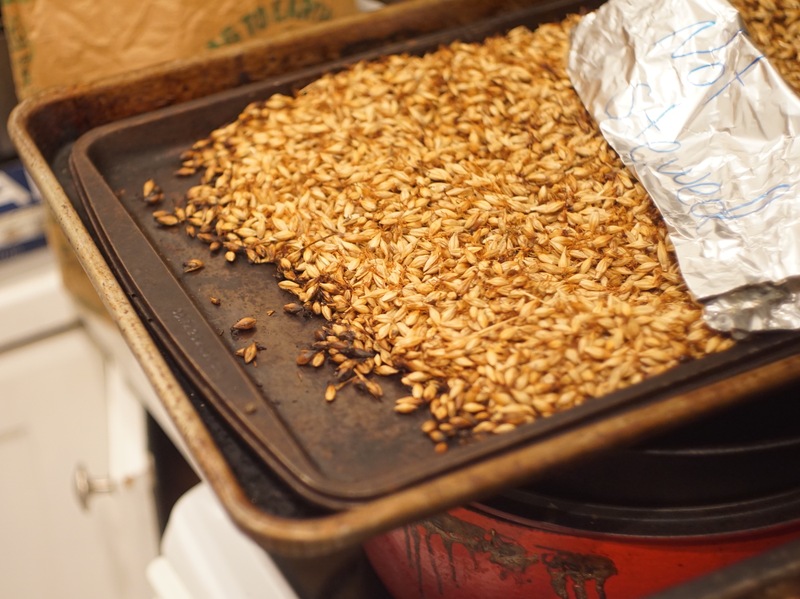 I took a little over a pound of the high moisture green malt and stewed it at 50C for 3 hours on a tray under tinfoil. Then I raised the temperature to the saccharification range at around 158F for another 3 hours. I then took off the tinfoil cover and let it dry out at 170F in my oven. 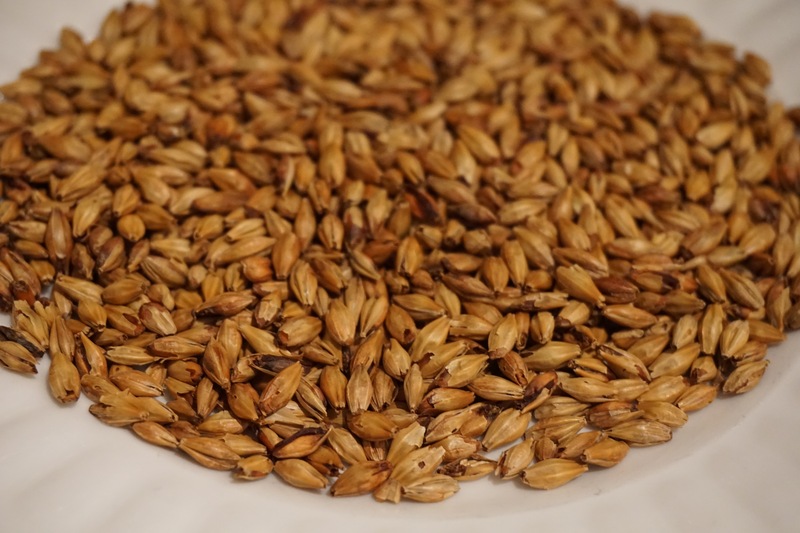 Brown buckwheat malt. 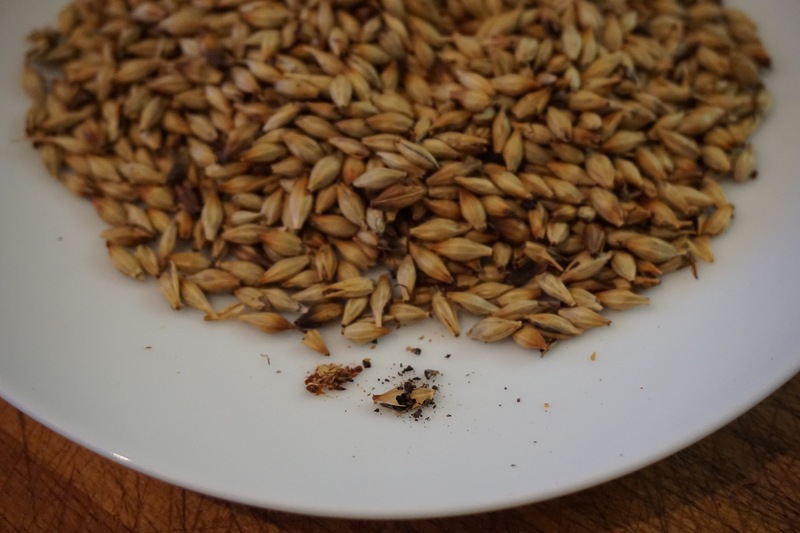 I then took some of the green malt and roasted it to make a modern brown malt. This had a very unique cinnamon bark flavour to it. I roasted it at 250F for an hour, 300F for 30 minutes and then 350F for 15 minutes. 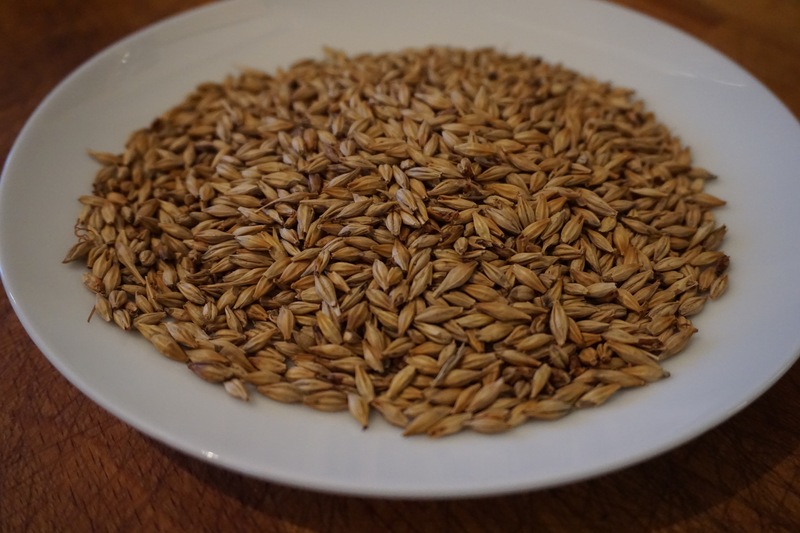 Brewing: According to the article a multistep mash will have better results than a single infusion mash. 15 min. at 95°F, 30 min at 113°F, 1 hour at 149°F and 30 min at 161°F and mash out at 172°F. Also, a thin mash produced better results than a normal thicker mash which also helped with lautering. So I kept it simple and used infusions of boiling water to bump up the temperatures and thin the mash just making sure that when the mash was at 149 the liquor to grist ratio was 4:1. I added one more infusion to get to 161F The inclusion of this temperature in the article kind of confused me, wouldn’t it have been better to rest at 158? I then drew off 7 litres of wort, boiled it then added it back to the mash to reach 172F the final mash out temperature. Lautering – I don’t want to talk about it. Ok it wasn’t that bad, luckily I used a brewing bag because I had to suspend the bag for about 30 minutes to let the wort drain out. I also took some grain out and put it in a strainer to drain but in hindsight, this wasn’t necessary as it would have eventually drained out of the brew bag. I estimate that maybe a half gallon was still locked up in the spent grain but it just wasn’t draining out, oh well time to move on. The boil was uneventful, thankfully! Because of it’s thick viscosity that seven litres of wort that I drew off during the mash ended up boiling over and making a mess of the stove top so I was worried about another boil over on a larger scale. I was very cautious and watched the temperature closely. When it reached 210F I turned the gas way down and kept stirring. It slowly came to a boil without foaming up. 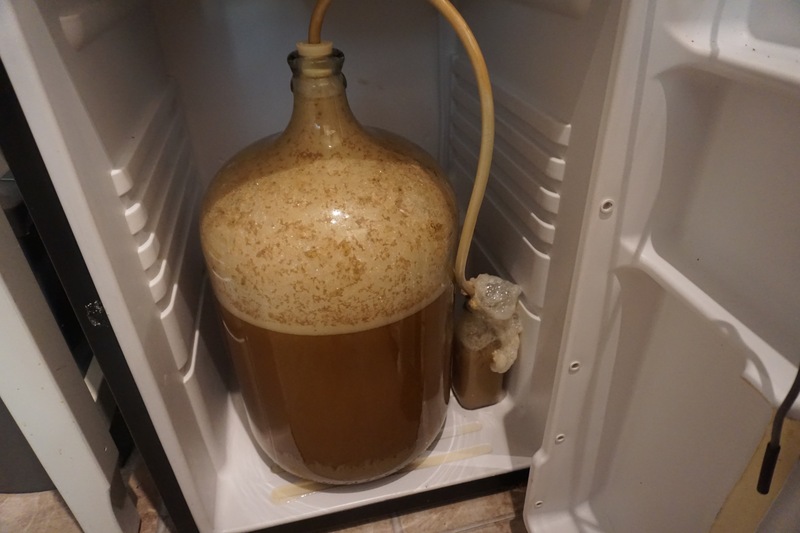 Fermentation was really fast and pretty violent. At one point the blow-off tube became so plugged that the stopper actually shot off making a loud bang inside my brewing fridge. The Beer: Tastes like compost? earthy, with a strong birdseed flavour, throw in some peanuts too. There’s also a pine like grassiness from the hops. which totally does not go with the nutty flavour. I used the hops I picked at the side of the road, which I’m pretty sure are B.C. Goldings. I didn’t do an acid level comparison this year but they seem much more acidic than previous years. What is hard to get used to is not the flavour but the viscosity. When it’s cold it’s thick like cough syrup. Pretty gross. I think I’ll stick to barley.